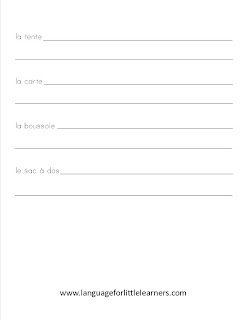 ‘le’ means ‘the’ and ‘gâteau’ means cake. 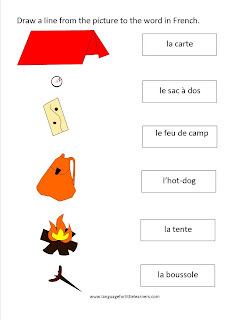 The reason I always have ‘le’ or ‘la’ along with the noun being taught is because ‘le’ is masculine and ‘la’ is feminine and for French and many other languages you need to learn and remember which is used with each noun. 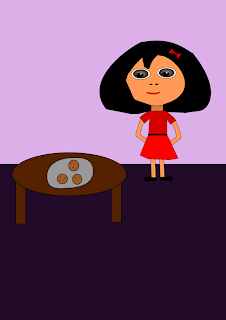 Today’ new ‘sweet’ word in French for your children is: le biscuit. 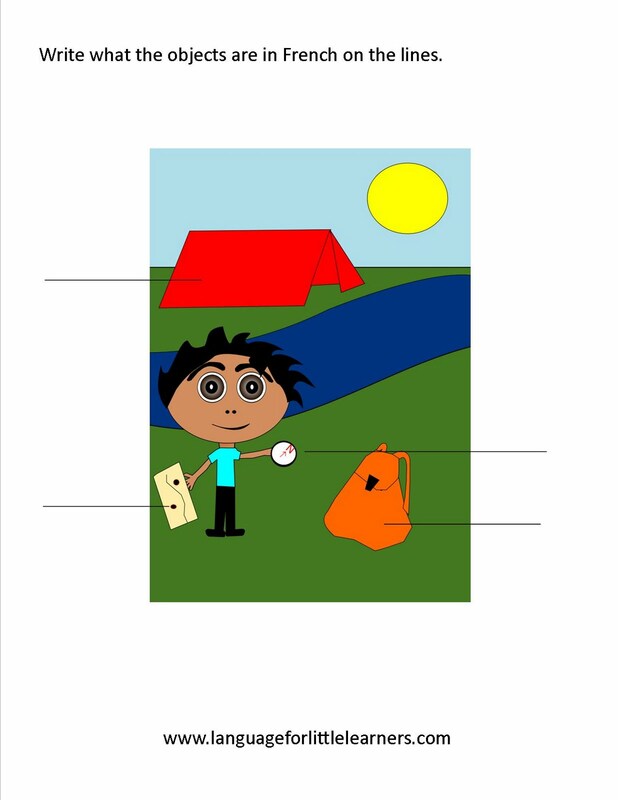 This means cookie in English. Today, you can give your child a few biscuits for dessert and have them count how many biscuits they have. The way you pronounce le biscuit is: luh-bees-kwee. 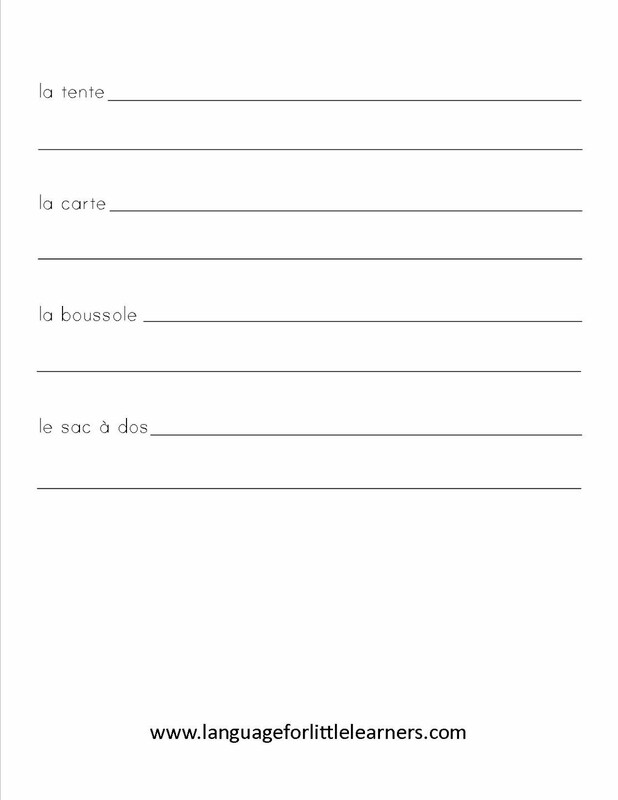 The next theme for my blog is teaching candy/sweet words in French. I mean who doesn’t like candy, cake, pies, cookies and more? 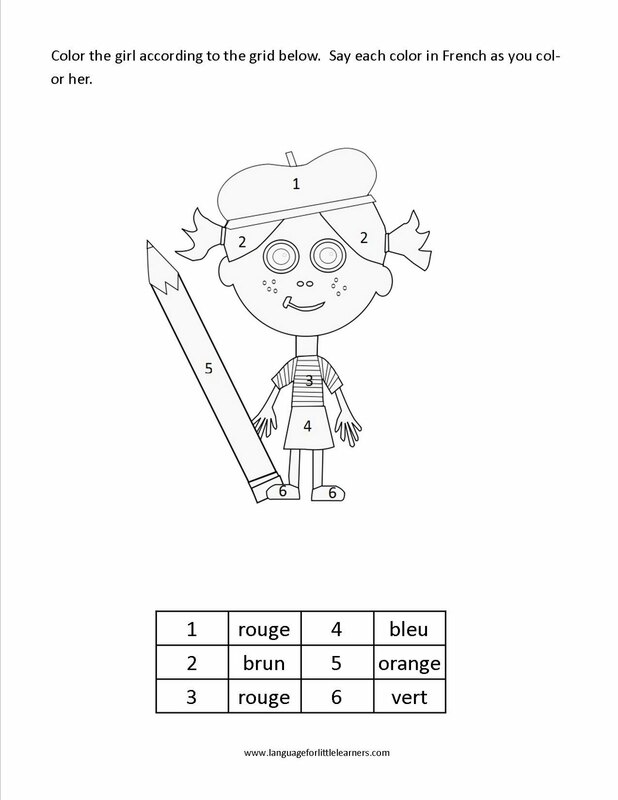 These next few posts were help you to motivate your children to learn French by teaching them some yummy food words. 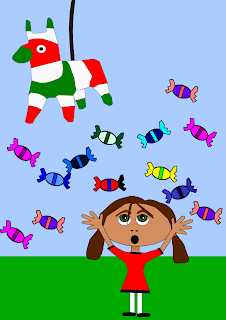 The first word is bonbon. 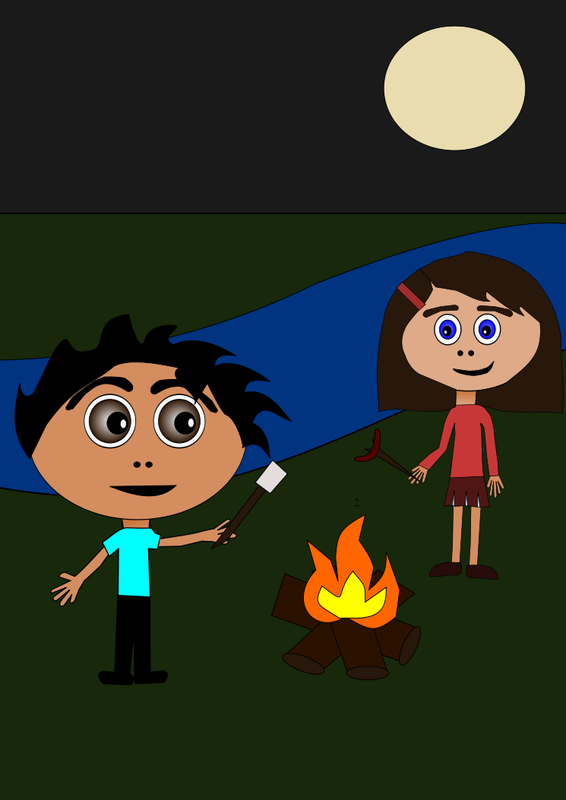 Bonbon means candy. 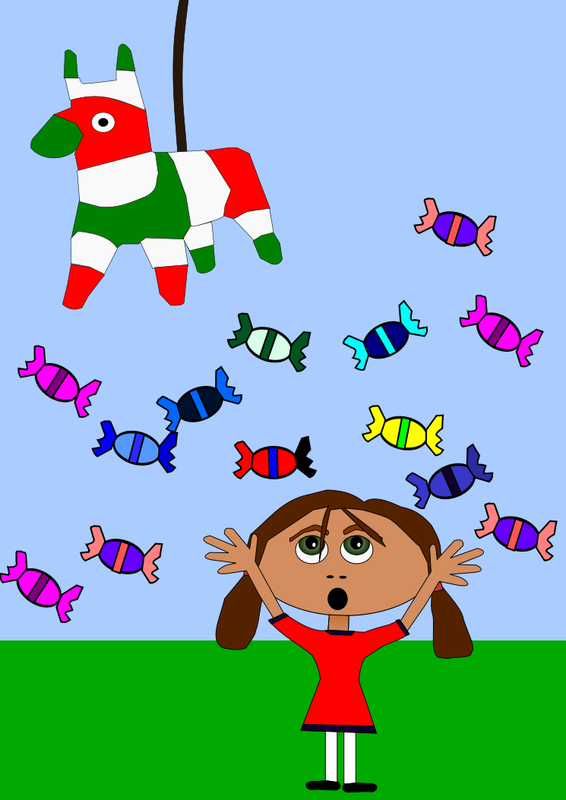 You can have your children count each bonbon in the picture in French. 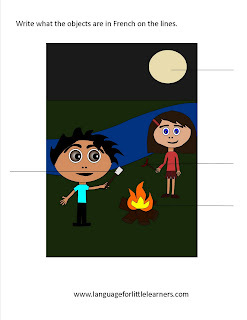 You can even have them practice their colors by describing each piece of bonbon as well. Stay tuned for more yummy food in French! Here are some simple, yet useful worksheets to help reinforce camping vocabulary in French. Just double click on each one and it will bring it into a new window. 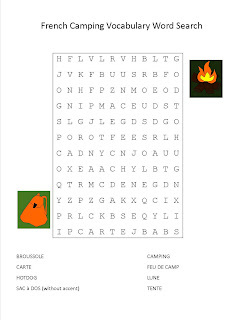 Then, you can print it from there. Enjoy! 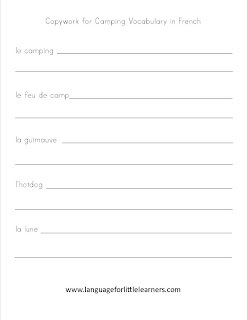 Here’s a nice little French camping words worksheet to help your children remember some of the camping French vocabulary that I introduced the past two day. More camping activities and worksheets to come in the next few days. 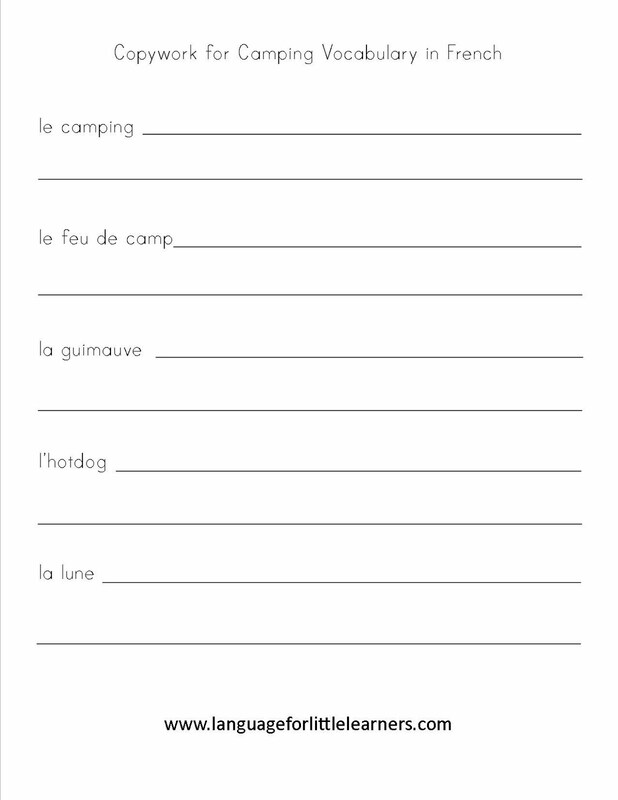 Today, there are a few more vocabulary words I wanted to introduce and then tomorrow and the next few days after will be worksheets and activities you can do with your children to reinforce these French words. 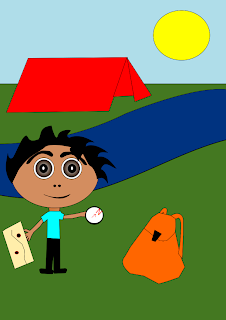 I’m going to start a new format to my blog and introduce a group of words on a theme and then the following few days make activities for that same theme. The first theme is going to be camping. 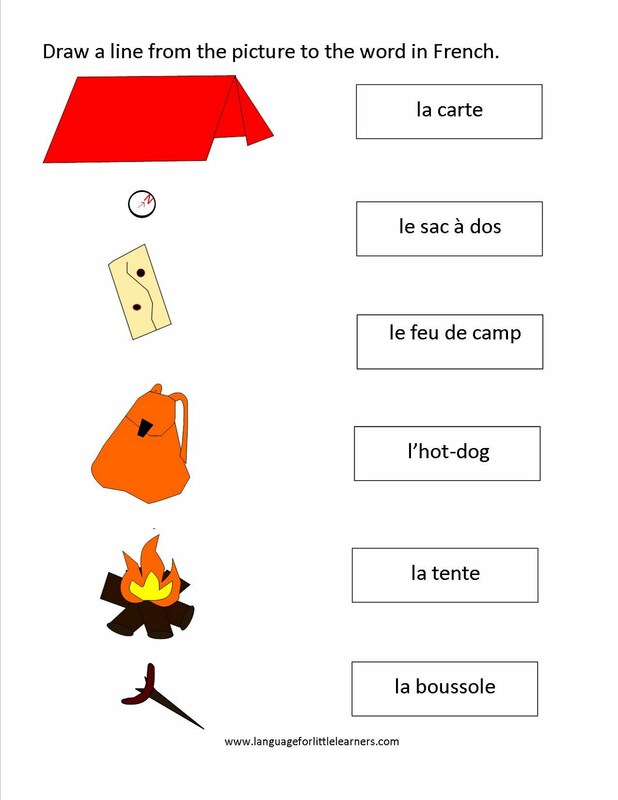 You can use the pictures above and help teach your children a few camping words in French. 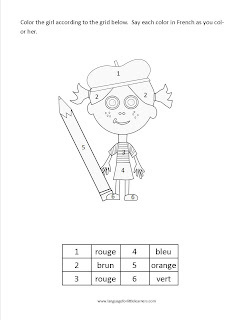 Here’s a little freebie worksheet I made to help your children practice their colors in French. 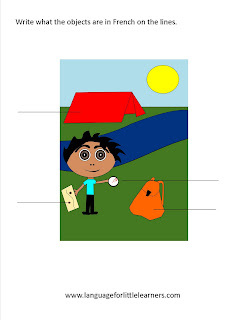 Click on the picture to get a bigger view. Then, you can print it from there.